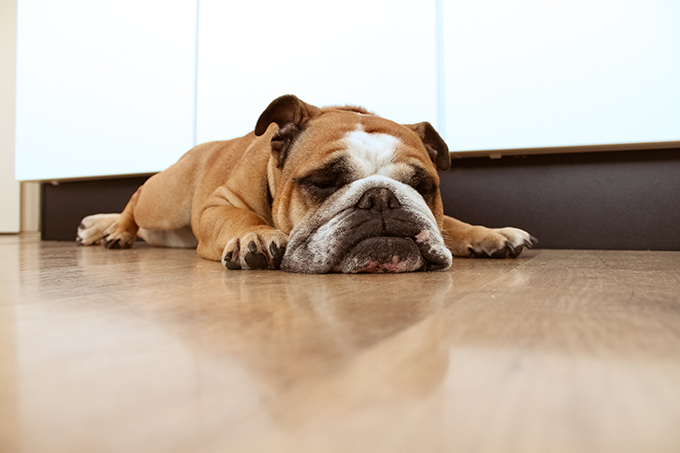 According to the National Sleep Foundation, our dogs spend roughly 12-14 hours per 24-hour period snoozing. Often, dog owners think that little leg twitch or tiny “yip” that comes out while sleeping has to do with something their dog is dreaming about. But do dogs dream? Or are those little twitches completely random? The answer to that question, according to most researchers, is that dogs are most likely dreaming. 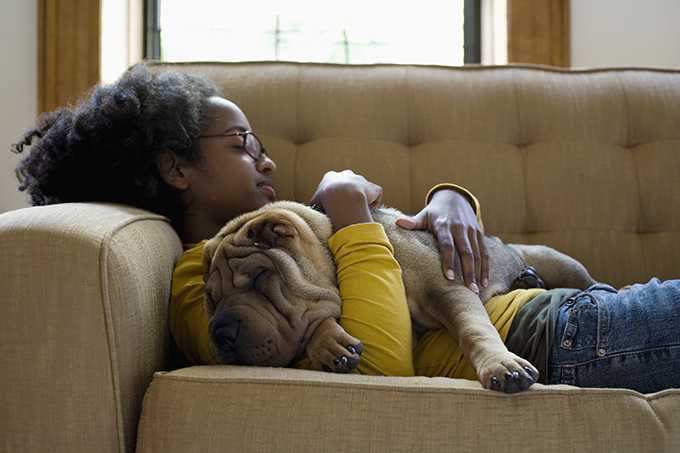 Matt Wilson, a neuroscientist at Massachusetts Institute of Technology, explained to PetMD that dogs have a sleep structure that is very similar to humans. Dogs, like humans and other mammals, experience REM (Rapid Eye Movement) sleep, the stage of sleep in which humans experience dreams. Humans and dogs, alike, have similarly high levels of brain activity during this stage of sleep, which suggests that dogs dream, just like we do. Lastly, both humans and dogs also have a brain structure, called the Pons Varolli, that paralyzes our major muscles to prevent us from physically acting out our dreams. The fact that dogs also have this structure means it is likely there for a reason: to keep them from acting out their dreams. Yes, the physiology of humans’ and dogs’ brains are incredibly similar while sleeping, but what does that mean for the content of our dogs’ dreams? Wilson conducted experiments with sleeping rats, and the results suggest that their dreams are connected to actual experiences, much like humans. Although a dog-specific study has not been conducted, Wilson and other researchers believe that dogs’ dreams are also based on day to day activities, like that pesky mailman or the outdoor cat who hangs outside of Fido’s window. 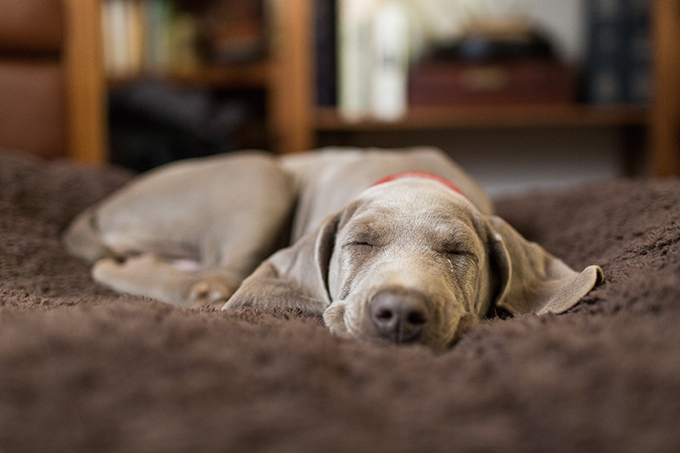 Research has also suggested that one of the main things your pup dreams about is you! Of course, we cannot directly communicate with our dogs to compare our dreams to theirs, so there is no guarantee that dogs dream in the exact same fashion that we do. Researchers believe that dogs’ dreams are compromised mainly of daily activities, but chopped up and put back together in dream-like fashion. In other words, it is probably similar to our dreams; a disjointed story line that makes sense while dreaming but may not have as clear of a narrative flow as you thought once awake. Are My Dogs’ Dreams “Normal”? Leg twitches, whimpers, and snarls during your dog’s REM cycle are completely normal. Dogs also tend to have a little more movement in their sleep, so even seeing something as crazy as “sleep running” still falls under the umbrella of “normal” sleep patterns. If you feel like your dog is moving too much or may be having seizures during their sleep, check in with your vet to make sure everything is A-OK in dreamland. Can I Wake Up My Sleeping Dog? Waking up your dog while he is clearly deep in a REM cycle will not harm your dog, but it could startle him. If your dog is prone to anxiety or surprise-fueled aggression, it may be in your best interest to simply let sleeping dogs lie. 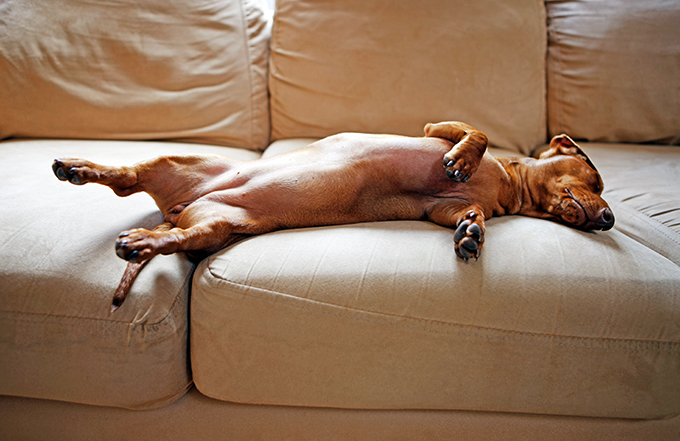 Does your dog have any silly movements while they dream and sleep? Have you noticed your dog acting out any dreams? Let us know in the comments!